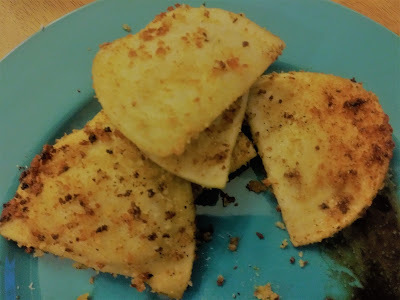 We first had breaded pierogies in Pittsburgh. The menu called them "Pittsburgh Pierogies." I went in search of a recipe and now we call them that too. You can a host of other optional spices and flavors. Prepare pierogies according to package directions. While they are boiling, mix up crumbs, Nutritional Yeast, Garlic and Onion powder. Just make as much as you think you'll need, adjust to your taste. Preheat a skillet with enough oil to cover the bottom of the pan for 1 - 2 minutes. 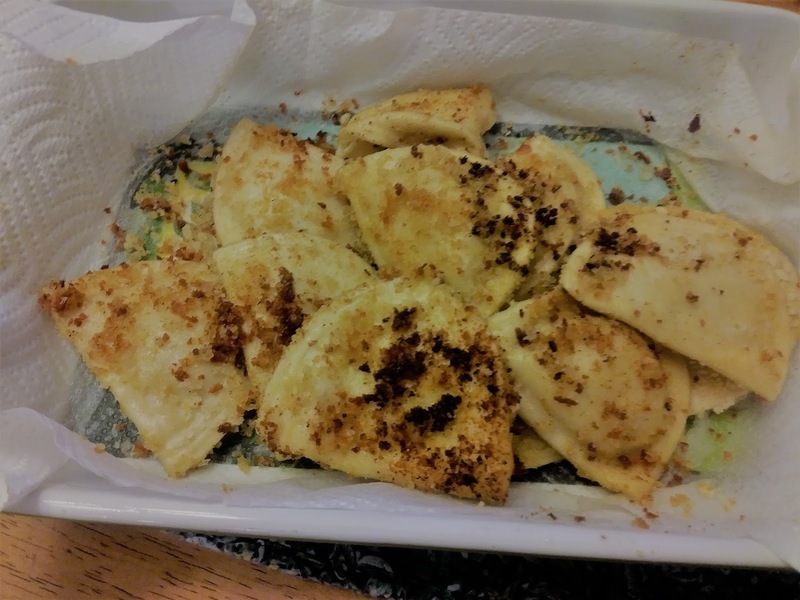 Drain pierogies and run them through the bread crumb mixture. The bits of water will make the crumbs stick. Fry for a minute on each side in HOT oil until crisp and brown. Put on paper-towel lined plate. Serve warm with Ranch, or ketchup, or BBQ sauce or mix balsamic vinaigrette with BBQ sauce.....you get the idea.